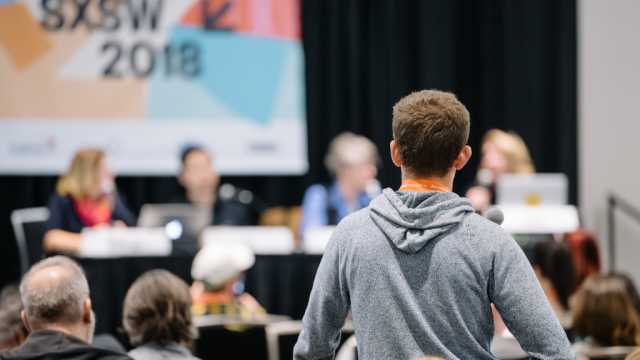 Help shape the 2019 SXSW Conference programming – Propose session ideas through PanelPicker® through the final deadline on Sunday, July 22. PanelPicker is the official SXSW user-generated session proposal platform developed to encourage the community to pitch their proposals for our daytime conference programming. This easy, two-step online process allows the SXSW community to have a voice in what creative and thought-provoking programming is scheduled at the SXSW Conference, SXSW EDU, and SXSW Gaming. The SXSW Conference provides an opportunity for global professionals at every level to participate, learn, and network. Explore what’s next in the worlds of entertainment, culture, and technology within 25 Tracks of programming. Upload proposals related to music, film, and digital technologies in variety of session formats including panels, solo presentations, workshops, and more. The application process is simple: visit PanelPicker.sxsw.com, explore the FAQ, read our 8 PanelPicker® Tips to Make Your Session Proposal a Success and complete the online form by Sunday, July 22 at 11:59pm PT. All ideas received will be posted online for the PanelPicker Community Voting period. Community votes makeup 30% of the final decision, plus input of the SXSW Staff (30%) and Advisory Board (40%) helps ensure that lesser-known voices have as much of a chance of being selected to speak at SXSW as individuals with large online followings. Together these percentages help determine the final programming lineup – it’s as easy as “enter, review, comment, and vote” to help shape SXSW programming. While PanelPicker contributes to the majority of the 2019 SXSW Conference programming, it also helps us identify industry trends based on each season’s entries. From the ever-emerging technology of artificial intelligence to consumer data protection, and the complexity of the music licensing to the promise of gene editing, SXSW aims to keep the cutting edge in view. Explore 2018 Programming Trends and follow SXSW News for the latest updates in trends that emerge from the 2019 PanelPicker. Stay tuned for more updates on PanelPicker proposal tips, trends, meet ups, and SXSW 2019 information. Looking for PanelPicker inspiration? Browse our 25 Tracks of programming for 2018 speaker and session highlights. Explore all open applications for the 2019 event and be a part of this inventive SXSW community from March 8-17, 2019. Mark your calendars for August 1, 2018 when SXSW 2019 Registration and Housing open.